Petri Hawkins is a family man who loves his wife and children wholeheartedly. This family man once faced a time when the relationship with his wife was on the verge of destruction but a step the couple took to mend their differences made all the difference. 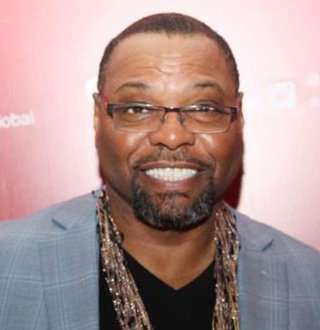 Brooklyn native Petri Hawkins is a television personality famous for the role of Bailiff in the Emmy award-winning court show Judge Judy which is on its 23rd season. 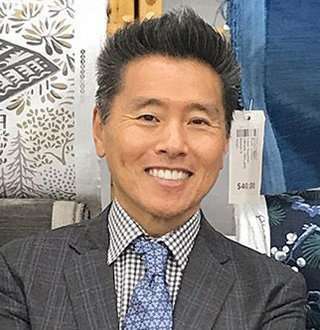 Besides Judge Judy, he is also a comedian who has performed stand-ups and lent his voice for many commercials, TV shows, video games, and radio. Born on 29 November 1957 at Jacksonville, North Carolina as Petri Adonis Byrd, the man of age 61 currently, was the youngest among his family of five siblings. His father was a drug dealer and his life revolved around the prison and rehab. Besides his father, he is very close to his mother, siblings and often shares pictures with them on Instagram. As a child, his escape was school, movies and tv shows. He attended Southwest High School and then Hostos Community College. In 1989 he graduated with bachelors of science degree in criminal justice from John Jay College of Criminal Justice. During his time at John Jay, he worked as a court officer in the Brooklyn Family Court system. In 1986 he worked for several judges including Judge Sheindlin at Manhattan Family Court System. After graduating from John Jay, he moved to Cali to serve as Special Deputy for U.S Marshall in 1990. But after three years he accepted an offer to work as a counselor at Monta Vista High School. More personalities in Law: Susan Hennessey Bio: At Age 33, Married To Furtive Husband, Who's He? Soon his career hit a jackpot after he sent a letter congratulating Judge Scheindlin for her new book and upcoming TV show in 1995. He also jokingly stated his will work again by her side to which Judge Sheindlin replied with a phone call and a job offer. And that’s how got his breakthrough job as a bailiff on the TV show Judge Judy! What is Petri Hawkins-Byrd’s Net Worth & Salary? Having worked in different fields from the courtroom to deputy officer to a counselor to TV shows, movies; Hawkins has accumulated a net worth of $3.5 from all these ventures but majorly from the TV show industry! From just the TV show Judge Judy, he is estimated to earn an average salary of $1 million a year. And that’s a lot! Hawkins love life is an outcome of second chances! Petri is married to his wife Felicia and has a family of six including four children. But their relationship faced some struggles in 1989 after which the couple lived separately. And his wife along with children moved to the West Coast. But the couple still had some feelings left for each other which led the pairs to join cross-country counseling. And that step did turn out to be fruitful as after five months of counseling Petri reconciled with his wife. Since then, they’ve been together living in a luxury house at Laguna West. You might want to know: Vanessa Nadal Age 36 Bio: Who Is Wife Of Lin Manuel Miranda? The loving husband also turned out to be a great father as he is very close to his children. He even reflected his love towards them through a sweet poem composed by himself. The sweet poem will definitely be passed onto many generations in the family too as he also dedicated it to his grandchildren! George Noory Never Discussed Married Life With Wife & Net Worth, Revealed? Susan Hennessey Bio: At Age 33, Married To Furtive Husband, Who's He?